The whole 3D phase gave puzzles a bit of a temporary renaissance, but a Boston-based design shop called Nervous System hopes to revive them yet again with a unique twist. 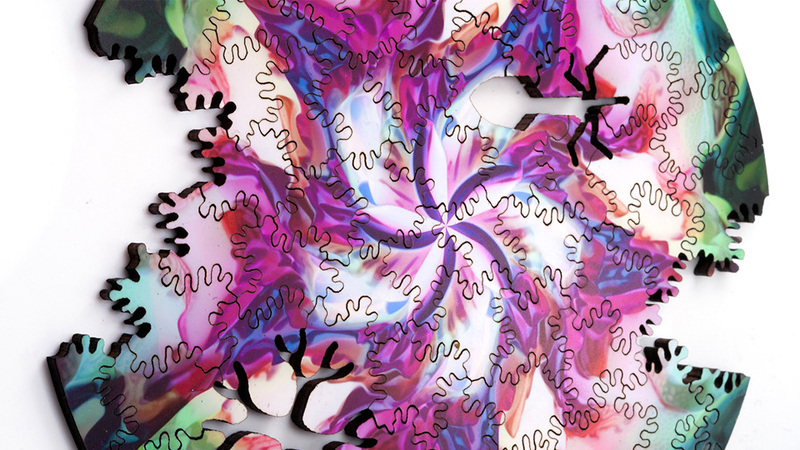 And 'unique' is the key word here since every puzzle is cut with a different fractal pattern. 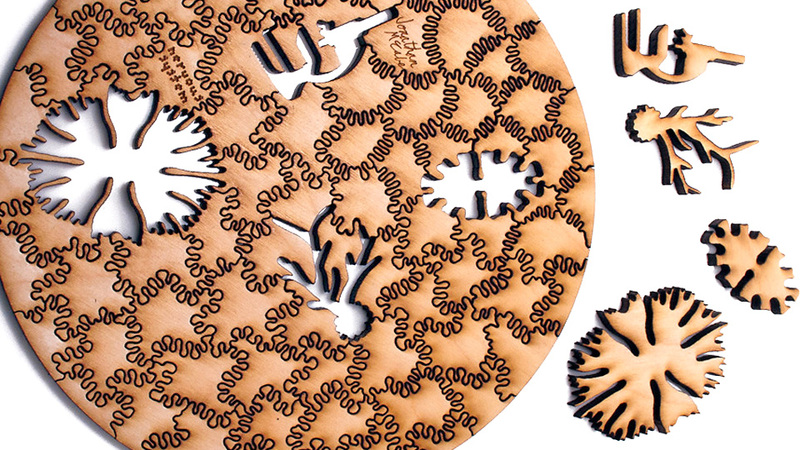 The shop's radial puzzles feature abstract artwork by Jonathan McCabe mounted to birch plywood, while the undulating wavy lines around each piece are created with a laser cutter following a fractal pattern generated by a computer simulation. As a result, while the lines on a traditional puzzle might take away from the artwork, the lines on these $US55 Radial Puzzles become a part of it. Also, it seems like they'd provide a considerably more difficult challenge to assemble them, and isn't that what a puzzle's really all about?